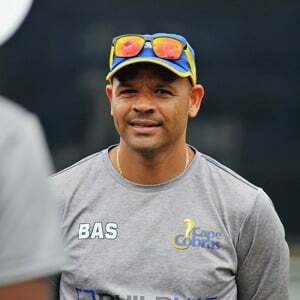 Cape Town - Cape Cobras coach Ashwell Prince wants to continue playing positive cricket in a bid to break the Sunfoil Series deadlock ahead of their clash with the Warriors starting at Newlands in Cape Town on Monday. All nine match this season have been draws meaning that there is a gridlock at the top of the table after three rounds of games. Heading into round four, which is the penultimate set of games before the first-class term breaks, Prince says his side will continue looking for openings to try and open up opponents. "The intention is always to play positive cricket," Prince said. "If there's a chance for a result we'll always try and push for it. If there's a chance to declare earlier to try and create a situation where you put the ball in the opposition's court we always look at those things with an eye to get the result. "The surfaces we've had have been quite tough for the bowlers. But we'll continue trying to play in a manner that the result is what we’re trying to get." The Warriors escaped with a draw from their last match against the Titans last week thanks to some resilient lower-order batting as well as the weather. But Prince is not taking them for granted. The two have already met once this season when the men from Eastern Cape appeared to have the upper hand in Port Elizabeth. "They would have been under pressure and it looked like the Titans were on top in that match last week," Prince added. "But credit to them for fighting towards the end. "They showed character and it shows they're a good side. They've been playing good cricket as well, so we'll respect them as we do every other team." Warriors coach Malibongwe Maketa was happy to walk away with a draw in their last game, especially after they were the side making all the plays the week before against the Cobras. "It's been an interesting season so far," he said. "One week we're in a position trying to force the result and the next we in the position trying to save the game. I guess it was good that we didn't concede full points in that game, so it's back to square one heading into this week." Maketa feels that this is the round where results could start coming, especially with the amount of rain the country has experienced in the last few days. "I'm certainly expecting a spicier wicket and that will help in terms of getting a result," he added. "That's one thing we're bracing for against a Cobras team that's always tough to play against. So we're looking forward to the trip to Cape Town."